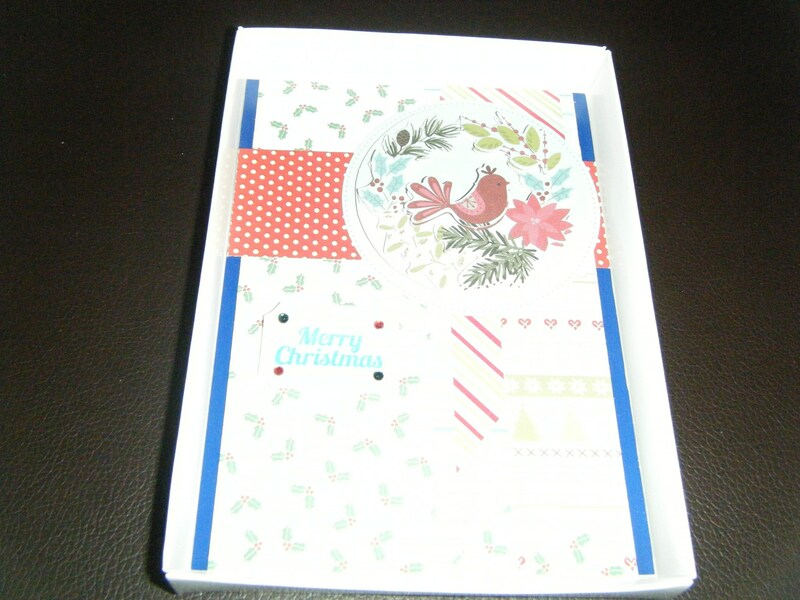 A Handmade Decoupage Christmas Card In Box. Various Backing Papers And Ribbon. Decoupage Design Bird In Christmas Wreath.